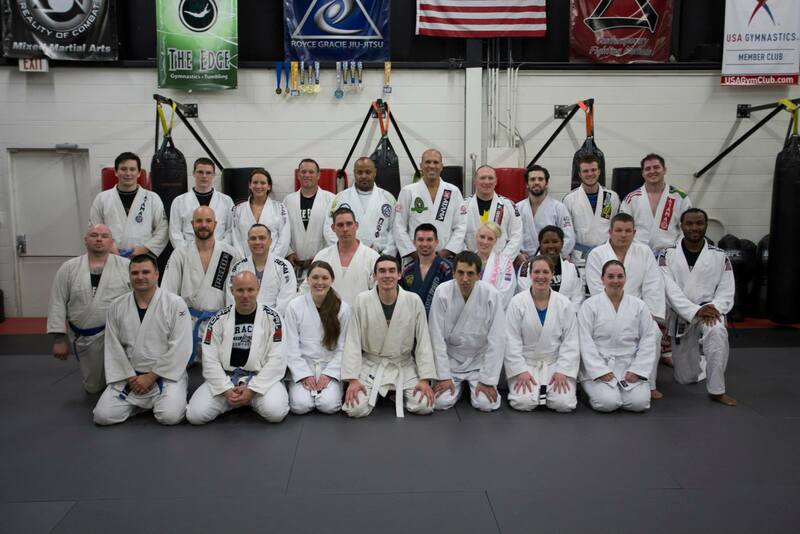 We are proud to be a training association of the Royce Gracie Jiu – Jitsu Network. Following the fundamentals of founder Helio Gracie, you will learn attributes such as calmness under stress, strength, endurance, flexibility, and confidence. Gracie Jiu Jitsu emphasizes taking an opponent to the ground and utilizing ground fighting techniques and submission holds involving joint locks and choke holds. The Gracie family is a shining example of the effectiveness of this art through it success in the UFC, PRIDE, and contributions to military and law enforcement combatives. Whether you are looking for self defense training,to get into shape, or both, the certified instructors at The EDGE look forward to helping you meet your personal goals. Your belt rank will be assigned directly by Royce Gracie. This rank is recognized worldwide. We offer three levels of jiu-jitsu in our curriculum. Click below to learn about each individual class.